Perfecting his craft since 1997, Joos ‘DOES’ van Barneveld is a multidisciplinary international artist recognised for his well balanced colour schemes, clean style and eye for detail. 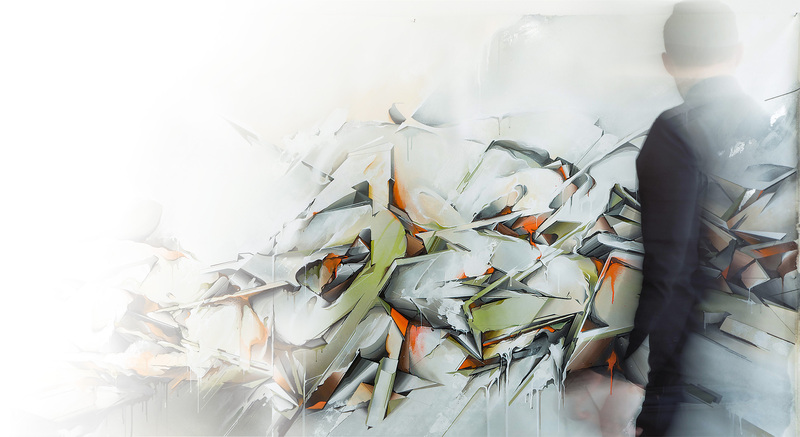 Taking root in graffiti art, traditional letterform is DOES’s primary love. He maintains that different hand styles betray elements of their owners’ emotional landscapes, putting personality traits subconsciously on display. Using the letters D, O, E and S as a foundation, he continues to elevate these etchings to new heights. Through an explosion of colour and shape, letters assume narrative. Joos van Barneveld was born in 1982 in Veghel, The Netherlands. Though he has been active in graffiti since 1997, soccer was his first love. At the age of 9 he was chosen to train with the youth selection of one of the country’s professional soccer clubs. His disciplined nature, focus and dedication eventually won him a spot on a team in the highest division. Throughout his soccer career he lead a double life; balancing the public persona of a professional athlete with the secret life of an underground graffiti writer. When an injury ended his athletic pursuits at the age of 28, DOES took it as an opportunity to focus solely on his art. He quickly carved out a reputation as one of the best practitioners of the craft, and today his work is featured in exhibitions and collections across the globe. Although his style is pure, DOES doesn’t like to limit himself to one discipline. Over the years, DOES’s work has diversified into illustrative drawings, prints, murals and canvasses. No matter the medium, his work breathes exuberance – bright, dynamic and full of energy.